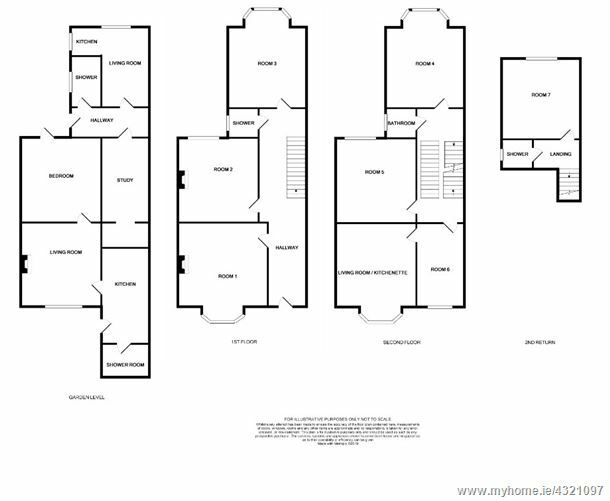 Brady & McCarthy are delighted to present to the market 6 Clarinda Park East, a most generously proportioned and light filled two storey over garden level, three storey to the rear period residence located in the highly sought after and elegant coastal setting of Dun Laoghaire, Co. Dublin. 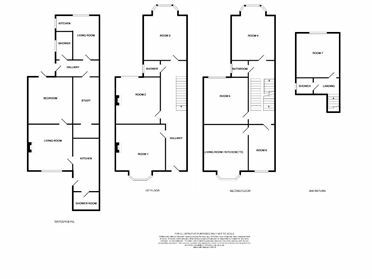 Currently divided into nine bedsits, Number 6 is bursting with potential to be transformed into a beautiful bespoke family home convenient to all the amenities of Dun Laoghaire, Glasthule, Sandycove & Dalkey. 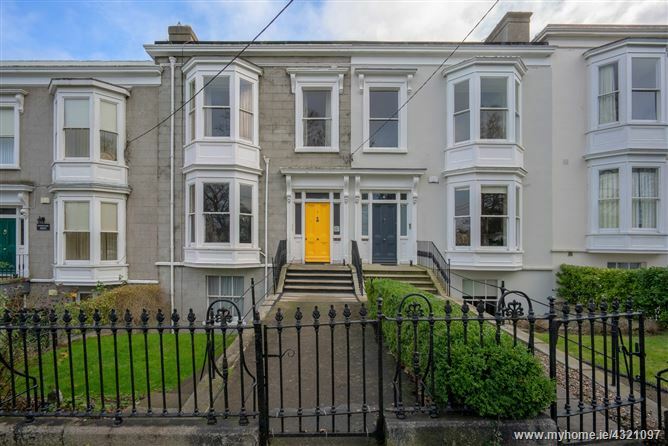 The property enjoys beautiful views from the front over leafy Clarinda Park and panoramic sea views from the upper rear rooms of Howth, Glasthule, Sandycove and Killiney Hill. Outside, the front garden is approached through beautiful wrought iron pedestrian gate with lawn and surrounded by flowering borders with granite steps leading to the main door and separate access to the garden level units. To the rear, the private low maintenance rear garden enjoys a sun filled orientation and offers both pedestrian and vehicular access on to Glenageary Road Lower. Number 6 enjoys all that Dun Laoghaire has to offer with its wide variety of shops, eateries, bijou restaurants and hostelries. Recreational amenities are plentiful and include the LexIcon library, tennis, squash, scuba diving clubs, Sandycove Beach and the famous ’40 foot’ bathing spot, swimming at Seapoint, the Peoples Park with its weekly Farmers Market, Dun Laoghaire piers and coastal walks, four yacht clubs and marina. The bustling villages of Sandycove, Glasthule and Dalkey are also within a gentle stroll. Some of South County Dublin’s finest schools are in close proximity including Castle Park, CBS Monkstown, Scoil Lorcáin, Rathdown School, Newpark Comprehensive and Loreto Dalkey to name just a few. Public transportation is well catered for including the DART (Sandycove & Glasthule), Aircoach, and several bus routes. The M50 and N11 road networks offer easy access throughout Dublin city and surrounding areas. Dublin City Centre is approximately 25 minutes by car.